Not having enough nurses to care for patients imposes many challenges. This lack of coverage can lead to longer hospital stays, increased risk for infections – and even medication errors, injuries and deaths. The Registered Nurse Safe Staffing Act was introduced to help ensure a sufficient number of nurses are always on staff to care for patients. But, last-minute call-outs and scheduling changes can still leave medical facilities in a bind. Here are five ways to cope with nursing staff shortages. Schedule nurses “on-call” to fill potential shifts, even if it’s just for a few hours. If you’re struggling to get in touch with your staff, contact supervisors in other departments for additional support and resources, such as unlicensed assistive personnel (UAP) to handle tasks to help your nurses. Studies show having a higher volume of nurses contribute to the survival rates of patients particularly with cardiac arrest, likely because nurses can focus on fewer patients, monitor them more closely and respond sooner. 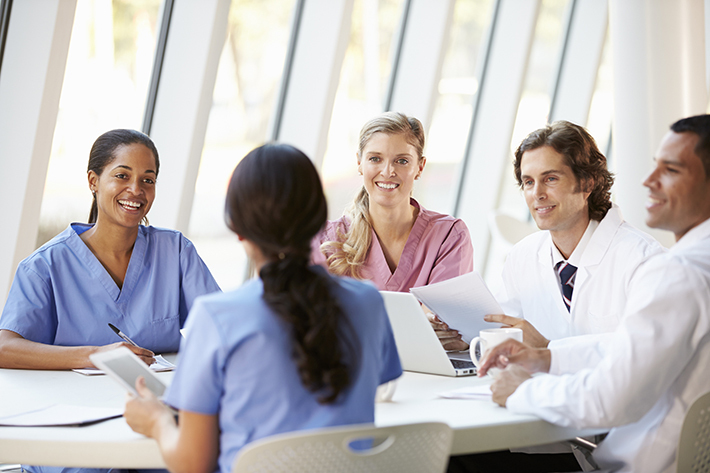 Don’t let nursing short-staffing stress overwhelm your duties or cloud your staff’s judgment. Patient care is the priority. Delegate responsibilities to staff and prioritize patient needs. For example, if one of your top nurses is caring for more patients than usual, make sure you offer support. Step in and assist with the patients or offer to man the front desk so your staff can take a break. Whether working in an office or hospital, your staff is dealing with patients facing many diseases and injuries. Keep their spirits up and cheer your nurses on. 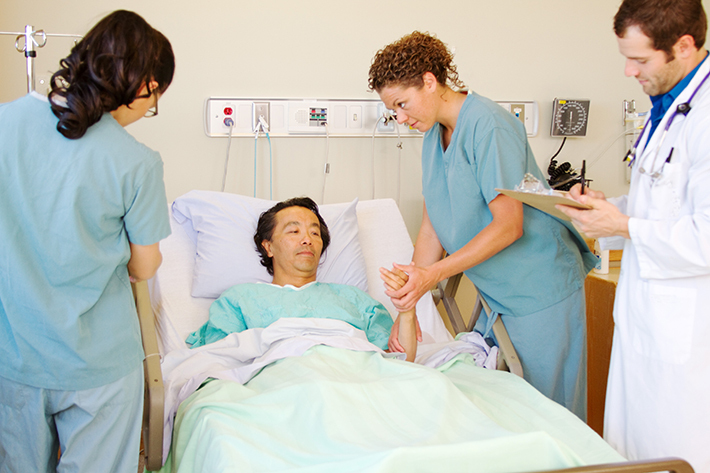 Consider pairing up nurses to help one another with patient responsibilities. This will lessen the load on individual nurses, and provide a level of support and an extra set of hands with patients’ care. Aurora West Allis Medical Center in West Allis, Wisconsin, implemented a nurse-physician collaboration model that allows nurses to work closely with physicians to increase patient care and decrease hospital stays. 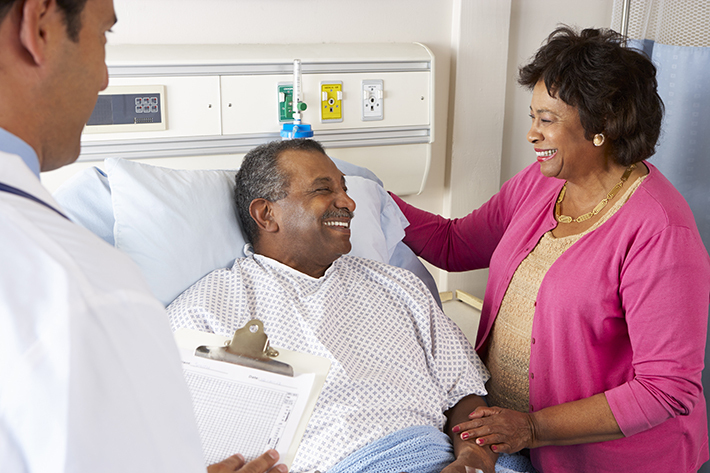 Involve family members of the patient to assist with simple tasks such as brushing their hair and reading to them. This will also give families the chance to feel as if they’re helping rather than interfering. And, if patients need someone to talk to, but your nurses have multiple patients to check on, ask hospital volunteers to keep them company. Thank your nurses regularly for their hard work. Your staff is more likely to step in and take on an extra shift if they feel acknowledged by their manager on a regular basis. Communicate with your staff daily what tasks they should tackle, and set weekly goals for them to achieve. Come up with fun activities, to boost employee morale, such as monthly pizza parties or an Employee of the Week, and a celebratory lunch or special prize for them. By rewarding employees for their hard work, they’ll feel appreciated — and motivated to keep it up. Having enough staff on hand, especially in the medical field, is critical to patient care. Prevent and solve nurse-staffing issues by tracking and managing employee schedules to ensure you’re never short-staffed.